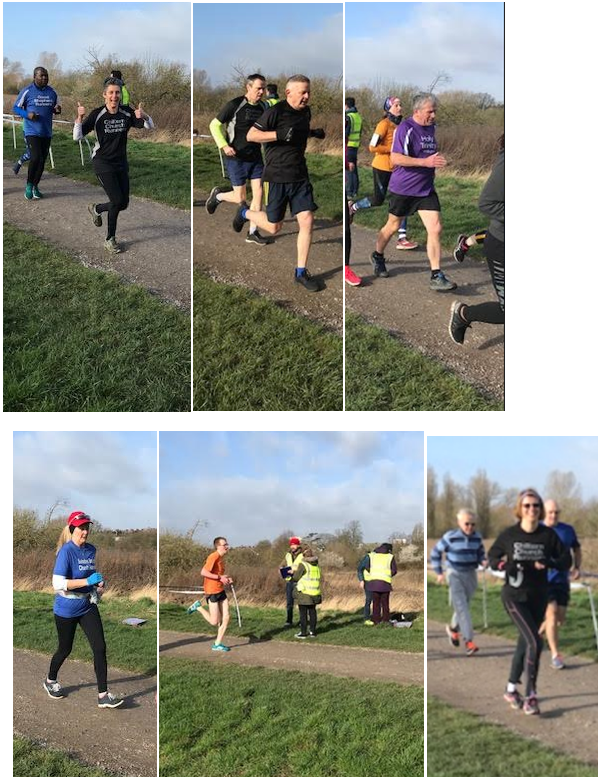 30 March 2019 Event ReportsTim G.
Thank you all so much for coming, 13 ran for Chiltern, 12 for Good Shepherd, 8 for Holy Trinity Church Wallington, 3 for Emmanuel, 10 for St Patrick’s Tigers, 5 for Croydon Vineyard, 1 for New Creation Church London, 1 for All Saints West Ewell, 16 for Selsdon Baptist Church, and 10 for Grace Church Dulwich– 79 runners in total! 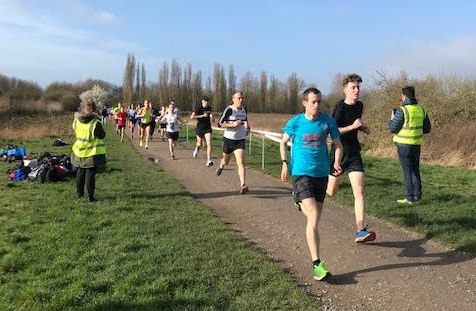 Several new age graded records this year, and it was biggest turn out ever for South Norwood, so new course attendance record from 180 up to 300, though of course the Striders/Harriers mob match helped with that. Photo credits to Rachel Berende (who also scored) then also thanks to Eammon who kept score as well. Well done to Marie who was bar code scanning to help the local team out. 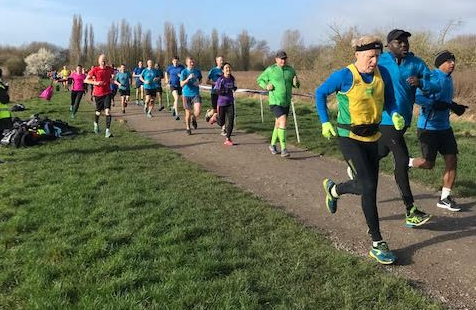 The non-running volunteers are really essential to us, and appreciated. 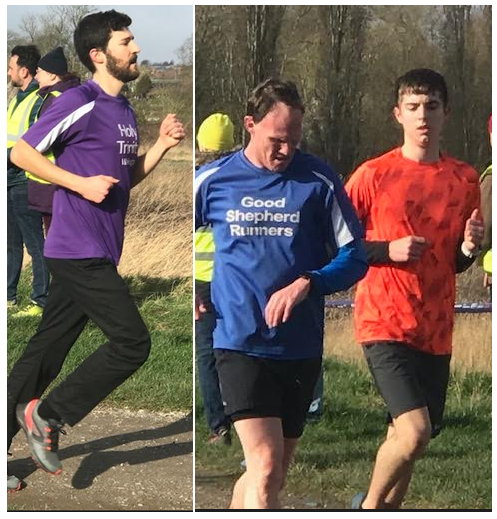 In all 300 people ran South Norwood parkrun that day, and we were spread from position 1 to position 300 ! It was great to see so many of you trying out this new venue. Rachel’s assistant Maisie is pictured above. 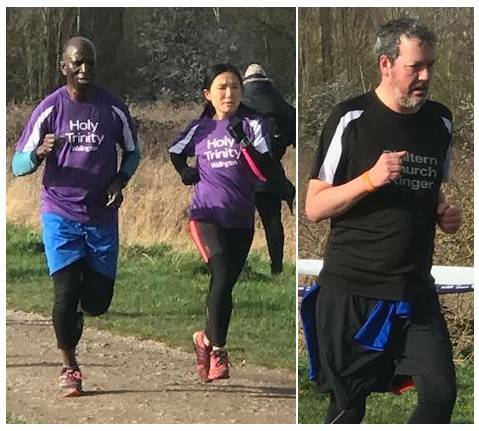 A special welcome to Grace Church Dulwich who joined us for their first non virtual Church mob match – smashing to see you there. South Norwood were very welcoming – especially on such a busy day. So a big thank you to Laura and her team. An awesome first performance from Grace Church Dulwich. Next Mob match May 18th at Lloyd, so get that one into your calendar! First women home for their teams otherwise were; Lizzy Tasker GCD, Cindy Woo HTW, Lisa Webster GS, Emma Baldwin CCR, Mandy Bowyer NCCL, & Rowena Stone SBC. First men home for their teams otherwise were; Matthew Stone SBC, Leo Rose HTW, Gary Harrison CV, Jonathan Butler GCD, Ian Smith HTW, Rene Berende CCR, & Dave Senneck ASWE. Also for the boys; Matthew Gray CCR. 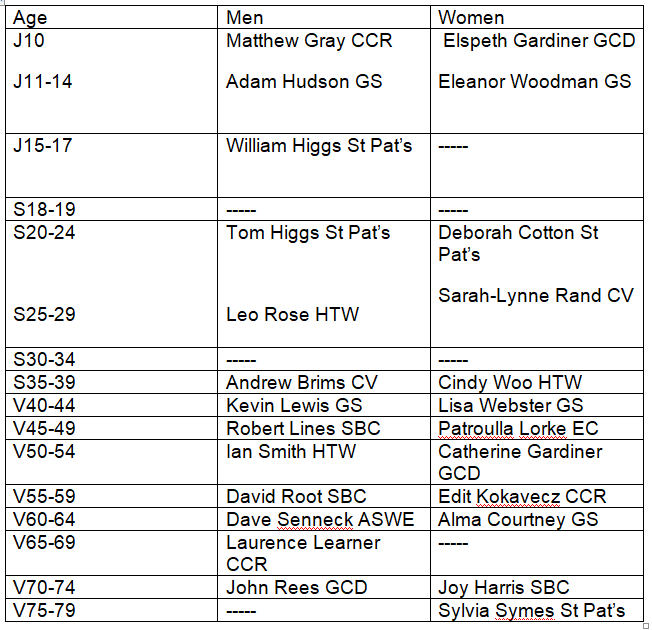 In amongst all that were new age category records for Adam Hudson, Deborah Cotton, & Sylvia Symes – brilliant work you 3! 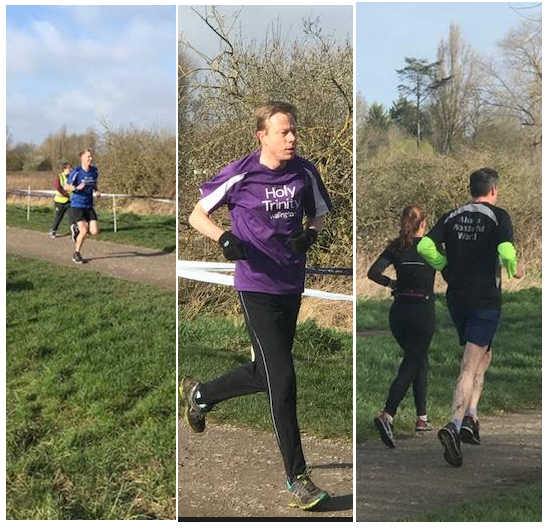 Not an exhaustive list but course Pb’s for; Matthew, Tim & Sue Gray, Emma Baldwin, Karen Crossley, & Alison Symonds-Taylor. Good to see us spreading the word. 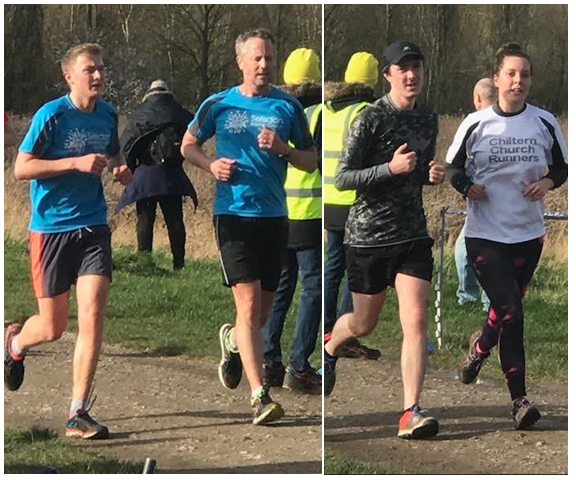 A blessed day for one of our runners who was in the right place this day to bump into someone who, it turned out, really benefited from seeing her. God runs in mysterious ways. Welcome to the churchrunner website! 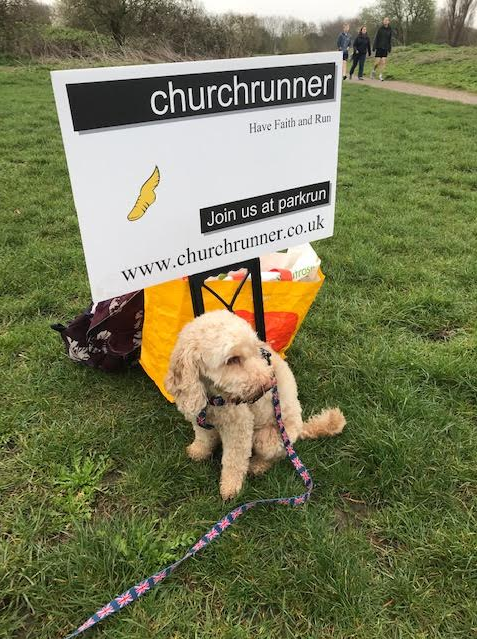 We’re a network of church running clubs – though many of our runners are not church members, all are welcome. 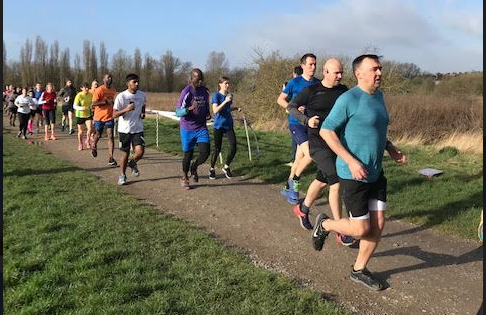 We run for a variety of reasons – for some to display their faith in God, for others for fun or fitness, we even let the people who want to run fast join in! We run with perseverance. Find a club or how to set up a club here, and come and join in.